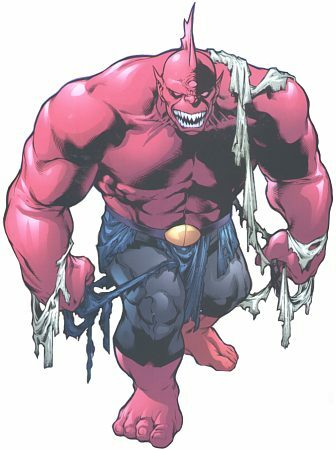 Enhanced Abilities: Despero gained enhanced strength and endurance after bathing in the flame of Py’tar. Mental Powers: Despero’s mutant third eye gives him vast mental powers that include : Hypnosis, Illusion casting, Telepathy and Telekinesis. Despero the conqueror come from the planet Kalanor, a world once dominated by a race of humanoids who were obliterated in a nuclear holocaust. Other species survived the radiation but were mutated beyond recognition. These new, varied races struggled for survival and, in the end, a telepathic race rose to superiority, using their powers of mental control to enslave all other Kalanorian races and rise to prominence. But the telepath’s fatal flaw their fierce sense of competition fragmented their empire. Family warred against family for the throne, and ultimately, only one telepath remained. The lone surviving telepath, Despero, ruled Kalanor with an iron hand for more than an Earth century. His reign might have continued unchallenged for thousands of years had not a Kalanorian scientist named Jasonar fled the planet in a special starship, taking with him materials with which he hoped to perfect a weapon capable of nullifying Despero’s telepathic abilities. Though Jasonar made his way to Earth, Despero tracked him down. Fortunately, Jasonar was able to enlist the aid of the Justice League to forestall Despero.